Seeing it from a new perspective. An Ancient Philosopher and a Roman Emperor respond from their stoic perspective to questions of modern leadership posed by the author. David reaches back in antiquity for lessons that apply today. Bravo! The Stoic Way of Leadership addresses present day leadership challenges with timeless Stoic wisdom. David takes the time to address many current leadership issues we all face in a creative way utilizing the voices of antiquity. In modern times the wisdom and perspective of ancient history leaders provide thoughts that can still give us the necessary insight and guidance applicable in contemporary life. The Stoic Way is great! Thank you for this gift, David. Ron Renaud - Author of "Uncompromised"
This eBook ­is an ambitious project which reflects a well rounded ­knowledge of Stoic philosophy and its many applications to leadership in the modern age­. Wow! Who knew that a couple of dead white men could speak to me today about leadership. 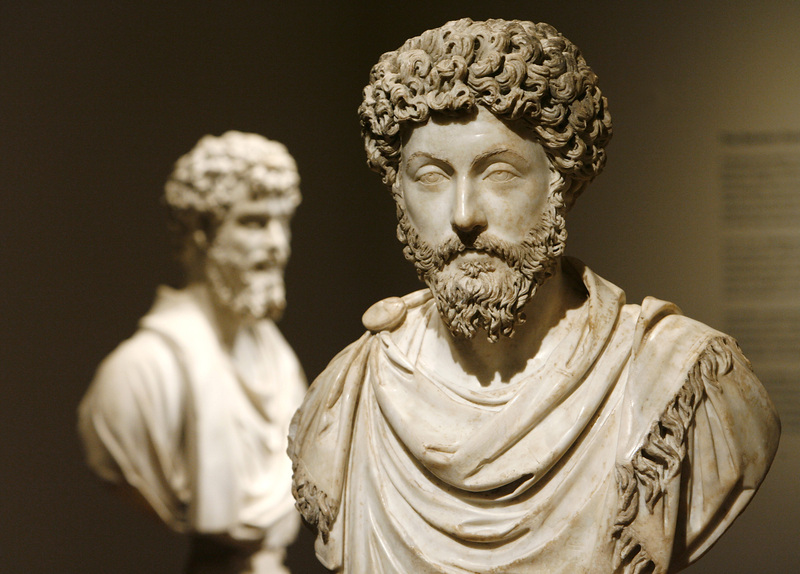 It was eye opening to read how timeless the advice is from Epictetus and Marcus Aurelius. It felt reassuring to know that there is a common experience of the world throughout history. The thought inducing way David brings to life the stoic master’s responses to his questions, generates useful and interesting insights to help the reader to enhance their own personal philosophy on how they want to live. Floyd Carlson - US Army Ranger (Retired), Corporate Executive, and Author of "Conscious Leadership in Action"
If you are a professional wanting to expand your leadership capacity, this book is for you! It is highly engaging and thought-provoking, while packed with essential leadership wisdom. David Langiulli brilliantly draws out leadership wisdom from two stoics in a style that excites and engages readers. In a fraction of pages, he relates to real world experiences that challenge us most. The Stoic Way teaches essential leadership lessons that many longer books on the topic fall short of communicating. If you love a great conversation and contemplation, this book will thrill you. Be prepared though, it will also transform the way you see yourself as a leader in the world. 1) Getting clarity about what's most important to you and where you want to go. 2) Sharpening your focus so you can stay on track and accomplish your goals more easily. 3) Accelerating your progress more quickly and easily. 4) Prompting your thinking about critical issues in work and life. 5) Discovering inspiration through reflection. 6) Generating new ideas that excite you. 7) Reduce stress and worry. In a short series of dialogues, David Langiulli engages an Ancient Philosopher (Epictetus) and a Roman Emperor (Marcus Aurelius) with questions about leading and living life in the modern era. Order your copy NOW to lead effectively.